A palindrome is a number or a string which is similar when read from the front and from the rear. For example: 121 or Oppo etc. 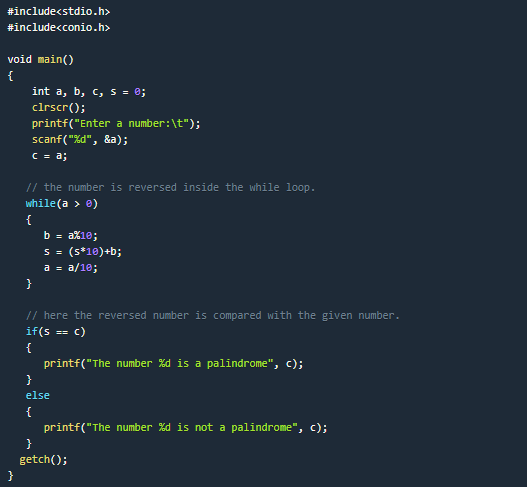 Below is a program to check whether a number is a palindrome or not. // the number is reversed inside the while loop. // here the reversed number is compared with the given number.